There’s no date on it but Mitch and I found this note in an old box when purging through things last week. Valerie, my husband’s sister, is such a good friend to me. 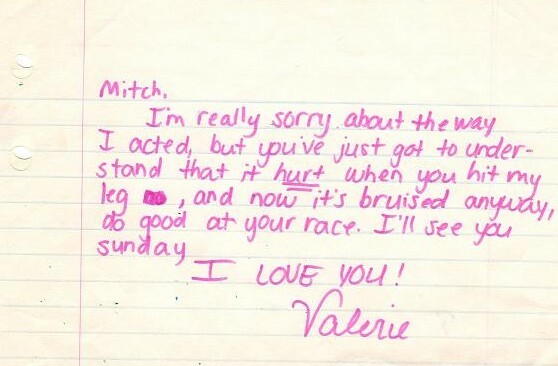 I love her and couldn’t help laughing when I read this note she wrote to Mitch many many many years ago when they were still living at home as teens. Seems my husband was being mean to his little sis. They’ve since forgiven each other.